Lean Six Sigma started as separate engineering concepts. Six Sigma, a registered trademark of the Motorola Corporation, came first in the 1980s as a way to improve service quality and reliability and reduce defect levels of products and services by eliminating process inefficiencies. Lean principles emerged in the 1990s, as a way to reduce process cycle times, improve on-time delivery and reduce costs by eliminating non-value added waste. Together, Lean Six Sigma principles help managers fully optimize their businesses and improve their bottom lines. Lean Sigma processes are useful in both small and large businesses, and just as beneficial to service providers as they are to manufacturing companies. The only real requirement is that your company focuses on incorporating key concepts that can help your business continuously improve. These concepts are to learn and understand the five guiding principles of Lean Sigma, define value-added and non-value activities in your business processes, define common types of waste as well as their root causes and develop a systematic approach to discovering waste within each business process. The first of five guiding principles of Lean Six Sigma is that the customer always comes first. It’s vital to make sure that all employees understand that customers are the heart of any business. The second is to understand that flexibility is fundamental; no business procedure is ever written in stone. The third is to focus on isolating and fixing only those problems that require fixing. The fourth guiding principle refers to speed and proportion. The more steps it takes to complete a process, the longer it will take. The main question is whether extra steps add to or decrease value. The final principle is to eliminate complexity and keep business processes as simple as possible. Lean Six Sigma uses tools such as process maps, affinity diagrams and value stream mapping to identify and eliminate inefficiencies. 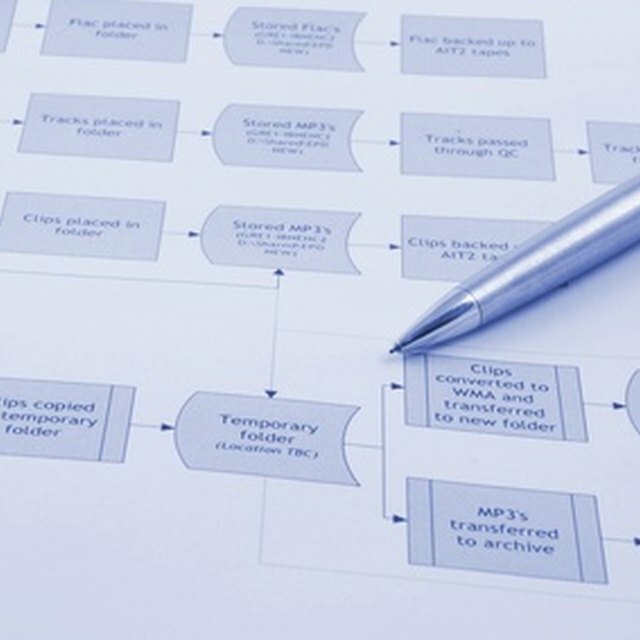 Process mapping is a common starting point. The goal is to depict each step in a current process using symbols and flowcharts. Value stream mapping assists in identifying waste and eliminating non-value added activities in each step of a process. From there, affinity diagrams help a Sigma team review, organize and prioritize information about problems and potential solutions gathered during brainstorming sessions. Lean Six Sigma isn’t simply a set of procedures, it’s a way of doing business. Both employee contributions and good leadership are vital to making it work. This is why companies usually certify one or more managers to lead Lean Six Sigma projects. While the size of your business dictates how many people to certify, Villanova University recommends that you have at least one Lean Six Sigma Black Belt or Master Black Belt in charge of the program, and a team of supporting Green Belts from various departments within the company.